American Warehousing and Distribution has a location at 2405 Hauser Street in La Crosse, just blocks away from the Commerce Street facility. This storage warehouse includes 50,000 feet of clear-span warehousing suitable for dry storage. All dry storage space is food-grade certified by the U.S. Department of Agriculture. As with both our facilities, we offer aggressively high standards of cleanliness and pest control. Why Choose 2405 Hauser Street? 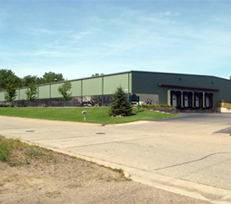 contacting American Warehousing and Distribution at (608) 781-9885 in La Crosse, Wisconsin.